Along with the surprising development of online business, there are a variety of ways to promote and the sales of products and take the website to the top. 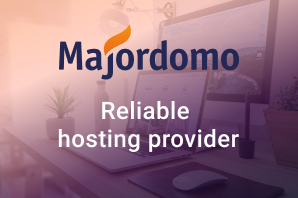 When customers visit your site, it is indispensable to say that they will purchase your projects if they are impressed by the interface as well as your unique features. Not only the content but also the layout of the web page can catch the audience’s attention at the right first blink of eye. Before noticing certain highlight features of your products, customers might look through your web layout and just pause to consider if attractive and eye-catching. Therefore, to gain the success, vendors have to represent their business in a professional style. Understanding this, we are proud to release a bundle of top-class Magento 2 themes, which can satisfy the most fastidious and picky customers. All those Magento 2 Themes are 100% Responsive, fully optimized with flexible drop-down menus and stunning blog post. What’s more? 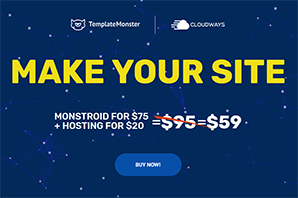 This showcase was co-authorized by TemplateMonster, therefore, purchasers don’t have to worry about the technical problems. If you have any additional puzzles, 24/7 support staff is always on your side. This leads to a huge amount of money for this issue can be significantly retrieved. Now, we would like to guide you these Top 5+ Trendy Magento 2 Themes with Powerful Mega Menu in 2018. Don’t hesitate anymore. Let’s explore them with us! This Mohawk template is correctly what you need to build an eye-catchy and high-functioning fashion online store. It has a super clean, aesthetical and modern design. 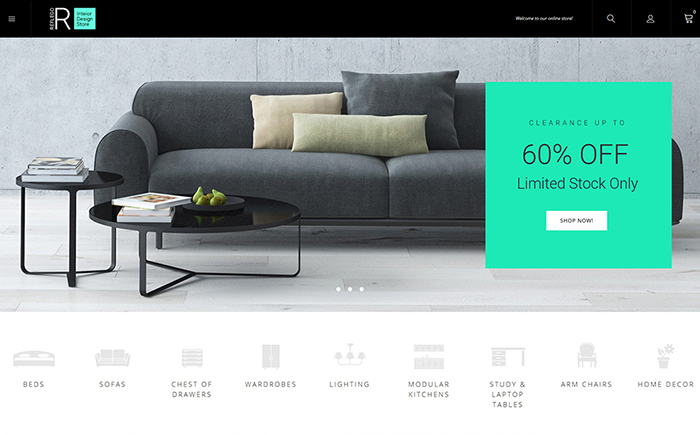 With 12+ beautiful homepages for Multiple Store, along with multiple header styles, this template is supposed the best one for you to design the customization process. Also, to help your site rank better, Mohawk is Mobile Optimized and SEO Optimized theme. Moreover, our intuitive page builder allows you to edit your site easily by dragging and dropping features. These factors will assist you to emphasize the content and products in general. Especially, Mohawk helps you attract more and more customers thanks to being created with high Conversion Rate Optimization. This is Multi-language & RTL Ready to create the global & local website as expectation. Click ‘Detail’ or ‘Demo’ to see how our fashion theme works perfectly. 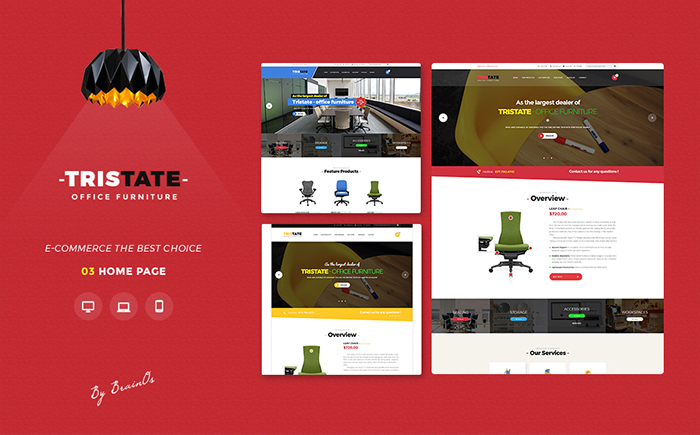 Tristate template is one of the most powerful and multifunctional Magento 2 themes that you have ever met. Magento 2 Tristate Office Furniture Themes has salient features which are designed especially for items related to office store. With the support of exclusive sideshow and design equivalent to every character of furniture, this theme help you to create a professional and modern design. Your customization is easier than ever with plentiful pre-made outstanding elements, and manifold skin colors as well. That’s not all! Integrating into some useful extensions like Magento 2 Blog, Page Builder, Mega Menu or Testimonial will make you facilitate to create your own pro site. With the devoted support from Venustheme’s developers and appealing license and upgrade, Magento 2 Office Furniture Theme is strongly believed to bring you a flourished online business. Click the link above to check this temple’ exclusive factors. Looking for a sales-centric pre-made design to start selling home textile on the web? 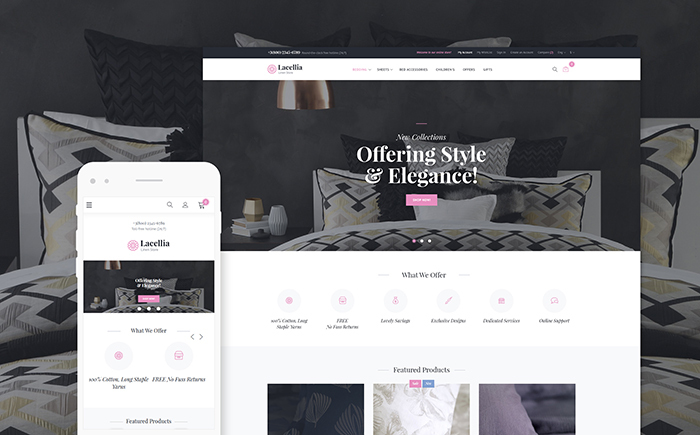 Take Lacellia with a mesmerizing look and advanced online store functionality. Firstly, you can get a great deal of decrease $1060 with TM Modules because it is included into the Template Price. Secondly, with Mega Menu extension, Blog, Slider will catch your audience’s interest in your web page through a sight. Newsletter Popup will grab visitors attention straight after they open your site, it is a great way to get your first efficient email list. The customers will also be impressed by the comfort when they type but still get search results, which is customized by TM Ajax Search. That’s really worth your attention and purchase! Go and check it now! Reflego is a responsive Magento 2 theme that is the ideal solution for interior, furniture or home decor ecommerce website. The theme is fully responsive and ensures that your website will look and perform great on all devices and browsers. Moreover, it comes with a bunch of features that will make your website unique. With minor tuning required, tons of options to choose from, and the ability to show categories, subcategories and posts, Mega Menu is a must-have feature that can easily boost your SEO and user engagement. The home page features are created with a full-with slider design. Your best and premium products can be easily showcased with the help of eye-catchy banners. Get people to follow you on social media with the strong built-in social media integration. 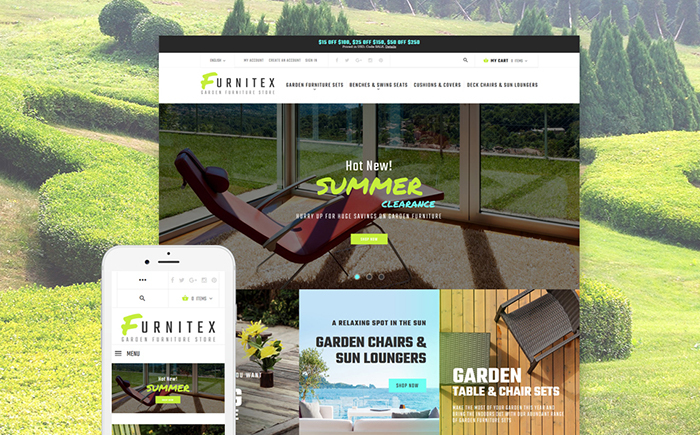 Furnitex is a marvelous responsive Garden Furniture Magento Template, created for garden furniture store websites. Vendors can manage the content filling and structure in any way possible with a fully editable fixed-to-the-top of the page Mega Menu. 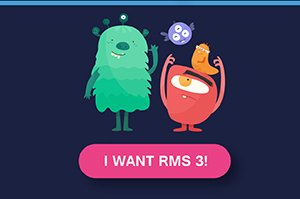 “Hot” and “New” badges will draw the users’ attention to the featured items once they land on your page. Ajax Search allows people to look for the desired content by means of a keyword or phrase. Multiple Sorting options, Newsletter pop-up and Multilanguage will make your website far more user-friendly. Furthermore, making an impressive presentation of your products is much easier with the support of Website Slider. Last but not least, you can save 347$ with TM Modules, which are included into the Garden Furniture Magento Template price and run your perfect store in a few clicks! How did you like these 5+ Trendy Magento 2 Themes with Powerful Mega Menu 2018? Which theme would you choose to boost your sales? We are always willing to support you, so, feel free to share your thoughts with us. 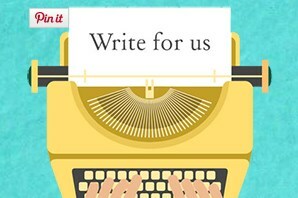 Hope that this blog will help you choose a suitable theme spice up your online store. 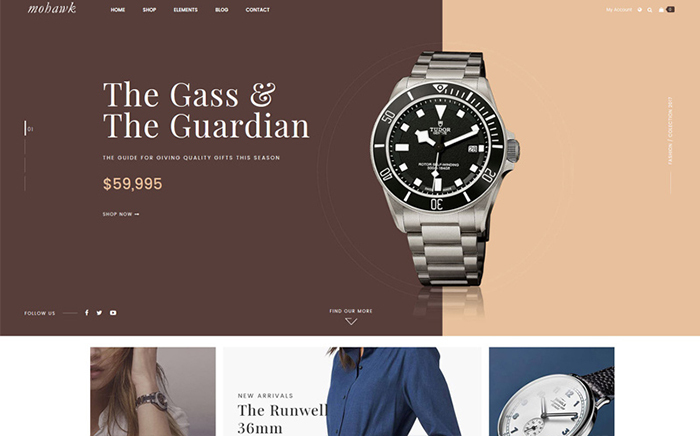 Venustheme is the Provider for professional Magento 2 Themes and Extensions. We are passionate about the web design and web application, custom work which help customers to get the most useful & high quality Themes and Extensions.